The founder and CEO of Rapid Realty, New York City’s largest rental-based real estate brokerage, shares his story, his advice, and his tips for building a successful career in the ever-growing and lucrative world of real estate. Anthony Lolli got his real estate license at age nineteen. By twenty-three, he was a millionaire and the head of a swiftly growing company that would become one of the largest real estate brokerages in New York and a national franchise sensation. Now, he’s sharing the secrets behind his success. 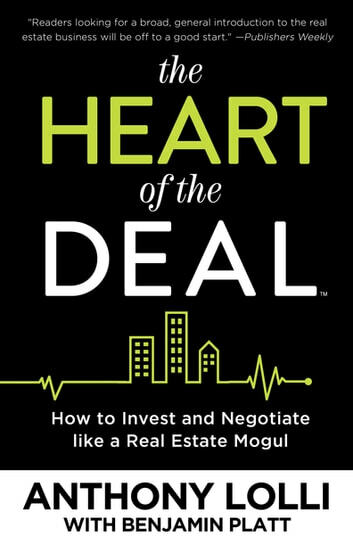 Filled with insights into Lolli’s inspirational rags-to-riches rise to the top and bursting with practical advice for real estate newcomers and veterans alike, The Heart of the Deal is essential reading for anyone with big dreams and the drive to make them come true. Learn how to set smart goals, negotiate like a pro, analyze properties and neighborhoods, overcome objections, and much more. Whether you want to become a top-performing broker or a savvy property investor, or simply master real estate management tactics designed to help you achieve your financial goals, Lolli’s grounded guidance will put you on the right path. 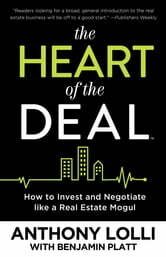 Most importantly, The Heart of the Deal will teach you how to utilize all of these strategies to build a lucrative career without sacrificing your humanity in the process. At all times, Lolli keeps one central premise in mind: that the heart of every deal isn’t money—it’s people.